CHAPEL HILL, CARY; N.C. (October 26, 2018) — Suzy Amis Cameron’s One Meal a Day for the Planet (OMD) launches its North Carolina community pilot program this weekend at the first-ever Kickstart Triangle Health Fest. The pilot focuses on partnering with local community leaders, nonprofits and residents to get more plant-based food on restaurant and K-12 school menus and also to raise awareness about industrialized agriculture’s impacts on community health and the environment in the state with the highest concentration of factory farms in the U.S. This is the on-the-ground piece of OMD’s national plant-based campaign to support and encourage advocates across the country to take part in system change to protect communities, improve public health and to mitigate the effects of climate change. At the event on Saturday, OMD’s North Carolina Field Organizer, Zakiyaa Taylor, will share how the community can take action and participate in the pilot program by shifting menus to offer more plant-based foods to K-12 children and in restaurants. “Our pilot is an opportunity for people to plug in and create real change in a time where headlines can leave people feeling hopeless. My vision is to bring our community together to work toward a common goal — creating an equitable food system. Together, we will move the needle toward a more climate-friendly food future,” OMD’s North Carolina Field Organizer, Zakiyaa Taylor says. Suzy’s presentation invites listeners to connect the dots between what’s on people’s plates, the environment and their health. She’ll also be sharing the origin story of OMD — from the school she founded with her sister, Rebecca Amis, MUSE where the concept of eating at least one plant-based meal a day for health and to fight climate change started. Attendees will also have the opportunity to meet Suzy after her speech for a book signing of the new OMD book released this week. Neal Barnard, M.D. with the Physicians Committee for Responsible Medicine (co-organizers of the event) will also be speaking to the audience about the health benefits of plant-based eating. The event starts tonight with a screening of Forks Over Knives and What the Health for community members, followed by a Q&A with Dr. Neal Barnard. 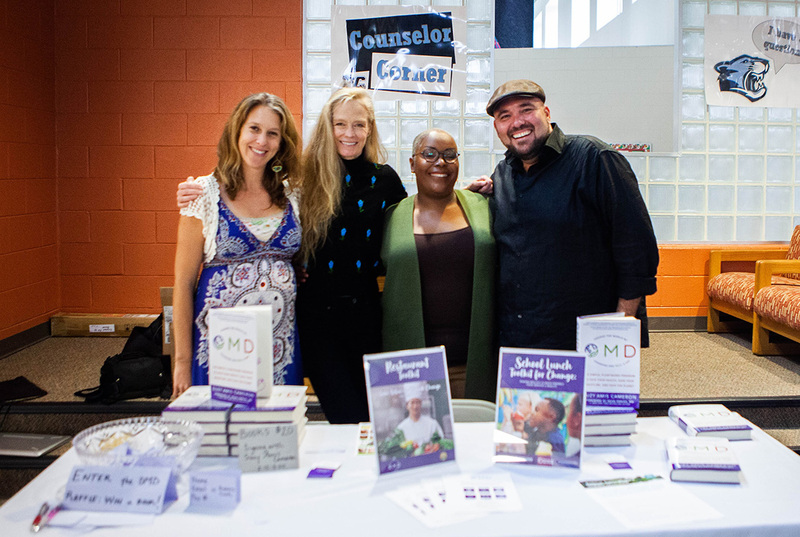 Saturday’s activities held at Panther Creek High School in Cary, North Carolina include local exhibitors and food tastings, including OMD’s table where people can try samples of Suzy’s Carrot Cake from the new OMD book. People are also invited to Suzy’s book signing and to participate in a free Zumba class and listen to other environmental and health leaders speak, like Delphine Sellars, Executive Director of Urban Community AgriNomics. Kickstart Triangle Health Fest was organized by the nonprofit Physicians Committee in partnership with One Meal a Day, and is supported by local mayors including Durham Mayor Steve Schewel, Cary Mayor Harold Weinbrecht, and Raleigh Mayor Nancy McFarlane. To obtain images or for interviews, please contact Jessica Jewell Lanier at jessica@omdfortheplanet.com. OMD is a book and movement to make plant-based eating mainstream as a solution to climate change through encouraging individuals to eat more climate-friendly, plant-based diets. OMD is also about system change and expanding access to plant-based foods at schools, businesses, restaurants and in communities. For more information, visit: omdfortheplanet.com.